This Mickey Mouse Club movie was really fun for us. 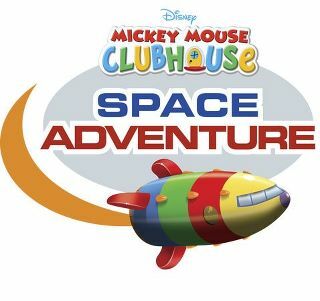 We love Mickey and are always watching and reading about cool space stuff. My son enjoys the cool characters and I enjoy the Mickey and friends are teaching him about counting, colors and friendship. I loved Mickey as a kid and sharing him with my son is a joy. Combo Pack (the ultimate “2-for-1” value) for the suggested retail price of $19.99 U.S./$24.99 Canada. 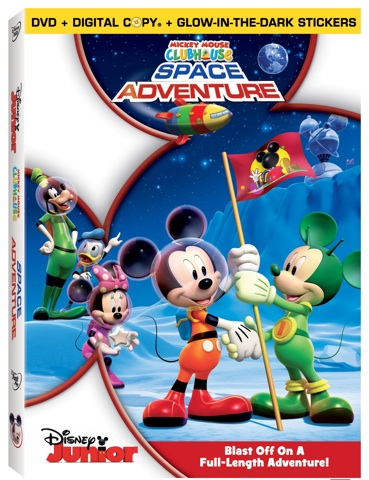 This is a great DVD for any Mickey Mouse fan! We have watched this one a few times already. Who is your favorite Disney animated character? I've always loved goofy. And my daughter is crazy about Mickey! I like Disney Junior on Facebook! Minnie Mouse is our favorite! I liked Disney Junior on FB. My favorite Disney Character is Goofy! hmmm--the little mermaid was always my favorite growing up. i like disney jr on fb! Minnie Mouse is our fav animated character! I "liked" Disney Junior on Facebook as Tiffany Byrd Church! I follow you on GFC as Tiffany Church! I "like" your Facebook page as Tiffany Church. My favorite Disney animated character is Tigger. I follow Disney Junior on Facebook under the username likwan. I shared this giveaway on Facebook at http://www.facebook.com/likwan/posts/320666954628584. I tweeted about this giveaway on Twitter at https://twitter.com/#!/likwan/status/143242220856815617. Daisy was always my favorite! !